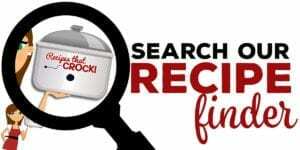 Are you looking for easy meals to throw together for your family? 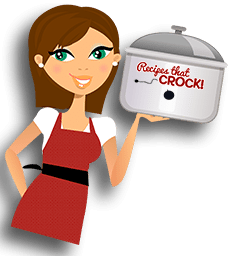 We have gathered up some of our favorite crock pot meals and the side dishes we love to serve with them and put them all in one post for easy meal planning! 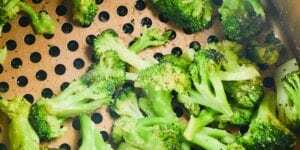 So grab those meal planners and check these recipes out. 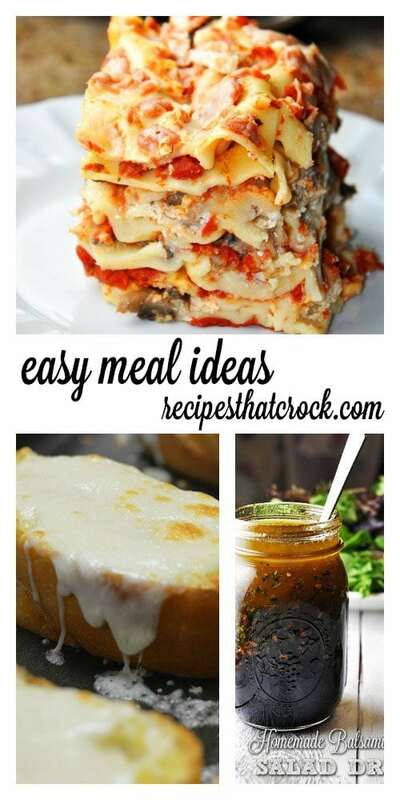 We love this combo of Easy Crock Pot Lasagna, Mom’s Cheesy Garlic Bread and simple salad with Homemade Balsamic Vinaigrette Salad Dressing. The crock pot lasagna uses regular lasagna noodles AND does not require you to boil them ahead of time. We LOVE how perfectly it sets up for nice hearty slices. The bread. Oh the bread. 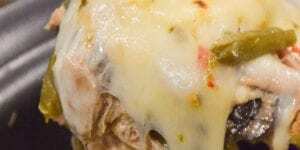 It is cheesy and garlicky and perfect! And, the salad dressing is killer. You will have to stop yourself from drinking it from the jar! 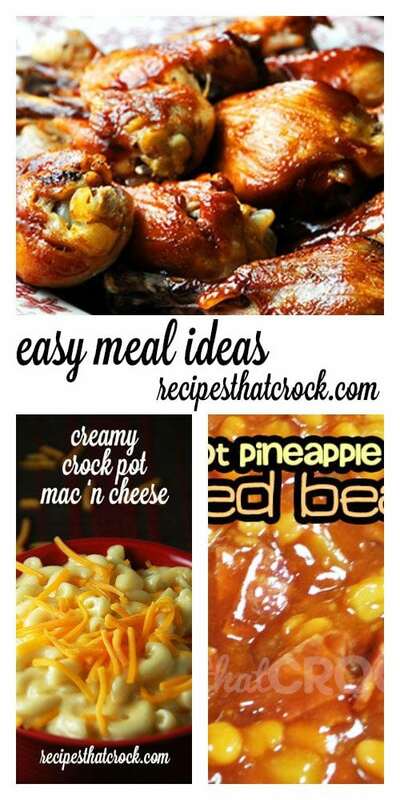 These ah-mazing Crock Pot BBQ Legs are so yummy with these Crock Pot Pineapple Baked Beans and Creamy Crock Pot Mac ‘n Cheese. The flavors will remind you of a good old fashioned backyard BBQ! 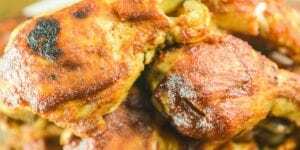 These chicken legs have a grill flavor thanks to a few quick minutes under your broiler after crocking all day long AND they are fall off the bone tender. The baked beans have a tangy flavor with a sweet surprise of pineapple and the mac and cheese is super creamy and a perfect way to complete this yummy meal! This simple but delicious Crispy Slow Cooker Chicken is worthy of a Sunday supper table. 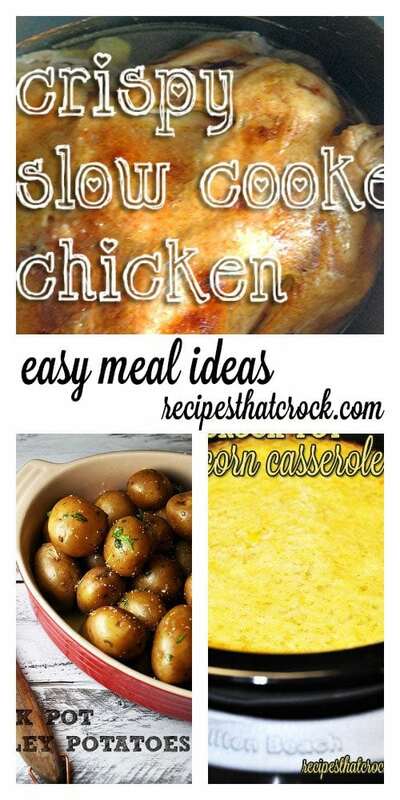 Paired with Crock Pot Parsley Potatoes and Crock Pot Corn Casserole, this meal will have everyone sticking around the dinner table for seconds. This whole chicken in the crock pot uses the broiler at the end to crisp up the skin (much like the BBQ Legs). The parsley potatoes are so simple but so good– unbelievably good. The corn casserole will be the creamiest corn pudding you will ever have… a hands down family favorite around here. 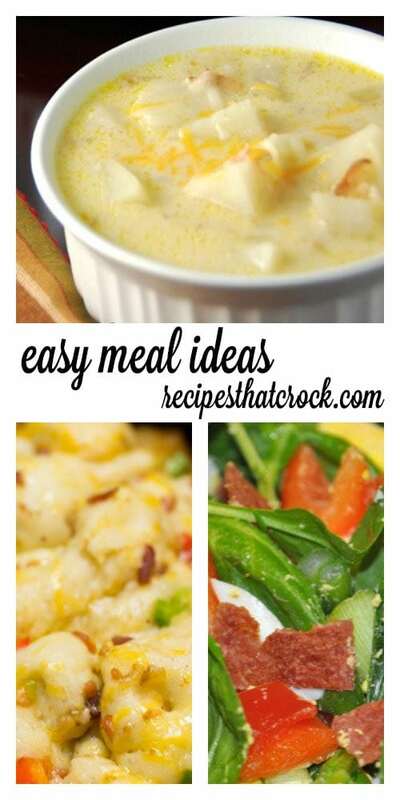 This Crock Pot Potato Bacon Soup is so warm and filling and very popular. We round it out with our incredible Crock Pot Bacon Bubble Bread and Green Goddess Bacon Salad for a bacon lovers dream! Potato Bacon Soup is such a winter favorite around here. We brighten it up with a colorful and flavorful salad and one of our favorite monkey breads of all time, our crock pot version of Garden Monkey Bread. Slow cookers know how to cRock comfort food. 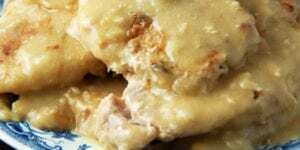 This very popular Slow Cooker Steak with Gravy is perfect with Creamy Crock Pot Mashed Potatoes and Creamy Crock Pot Corn. 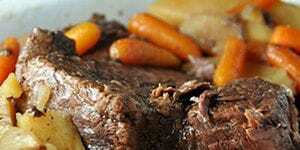 Slow Cooker Steak and Gravy gives you all the deliciousness of a slow cooked roast at a fraction of the cost. Pair it with these yummy potatoes and a creamy corn that will make you completely rethink your idea of creamed corn. 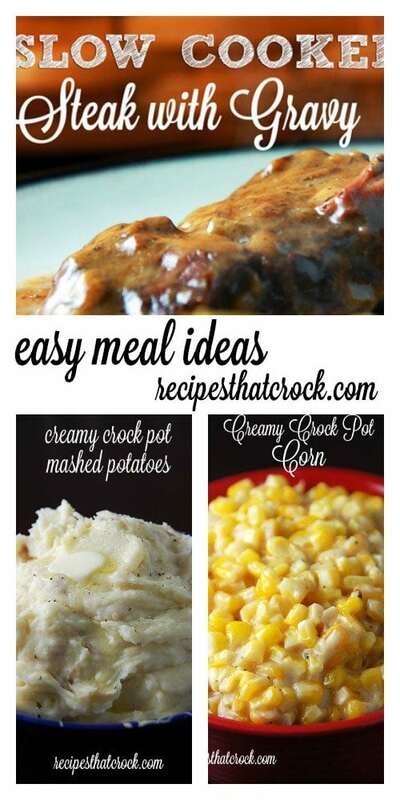 We hope you have enjoyed our Easy Crock Pot Meal Ideas round up! If you guys like this format, we might make this a regular series! Maybe I’m missing something, but where do I find the actual recipes for these wonderful recipes? I have scrolled down and also clicked on the item, but I don’t see the actual directions. Also, I’m new to slow cooking and I would also like some good vegetable soup recipes, if you could arrange that for me. Thanks very much for your site. If you click the titles of the recipes above the images, it will take you to a page that shares only that recipe and gives you all the ingredients and instructions. Enjoy!